Copyright © Michael Alan Ross, 1997-2018. 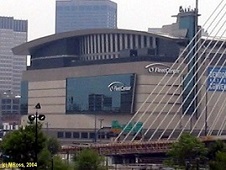 We've been leading walking tours of Boston for about ten years. So, when we were asked to devise a center of the city, Jewish walking tour of Boston, the Athens of America, we knew that we would walk many of Boston's streets and alleys before suggesting this friendship trail. Once known as a new Jerusalem, it wasn't until the mid-1800s - after various legal and attitudinal barriers were lowered, that Boston began to attract a community of Jews. 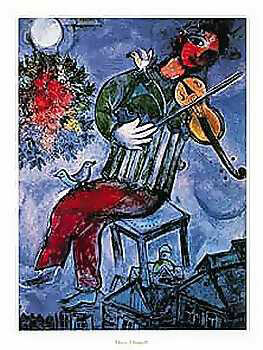 During the years 1875 to 1925, approximately fifty to seventy thousand Jewish immigrants arrived and stayed in Boston. 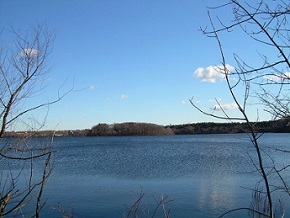 The City - which in the mid-1800s was a two-pronged peninsula with a narrow neck attaching it to the mainland - by 1900, had filled in both Mill Pond (joining its North and West Ends) and Back Bay (enlarging the lower and upper South Ends). 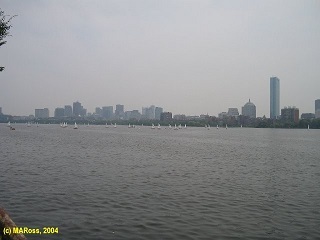 The bulk of those fifty to seventy thousand Jewish immigrants initially settled in Boston's North and West Ends, including the back side of Beacon Hill down to the Charles River. 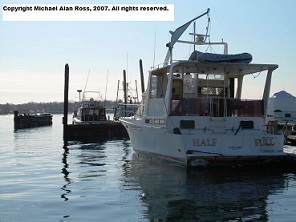 Some of them initially settled in the lower and upper South Ends and many of them initially settled across the harbor in Chelsea and parts of East Boston. 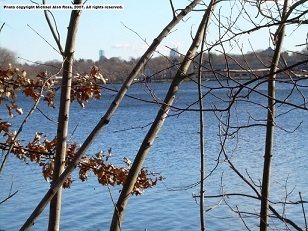 (1) Our first stop is Otis Place at the base of Beacon Hill, near the Charles River. If you had been here during the 1st two decades of the 1900s, you might have recognized Justice Louis Dembitz Brandeis coming home. During the 2nd two decades, Edward Albert Filene walked home to this same, small street. Both men were well-dressed, and one, E. A. Filene, was somewhat dapper. Brandeis made this townhouse his home starting around 1900 while Filene didn't move here until close to 1920. Louis Dembitz Brandeis was appointed U.S. Supreme Court Justice by President Woodrow Wilson in 1916 and thereafter made his Winter home in Washington DC. Edward Albert Filene, President of Filene's Department Store, lived here until his death in 1937. 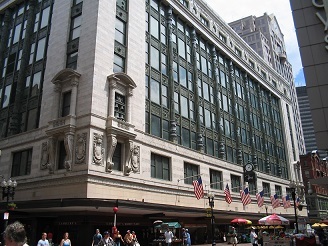 Brandeis' and Filene's business and personal relationship stretched over forty years from the 1890s until Filene's death. While Edward Filene, himself, was not known for his Jewish involvement, his brother Lincoln and his partner Louis Kirstein were major participants in Boston's Jewish community. Indirectly, Filene espoused Jewish concerns when he worked with Brandeis for employees rights and public transportation. Brandeis, from his midlife on, became a model not only for Boston's but all Jewish immigrants as he became not only the figurehead leader of American Zionism but also a voice on the Supreme Court for progressive interpretations of the United States Constitution. (2) We'll now walk up Phillips Street on the backside of Beacon Hill to our next site. 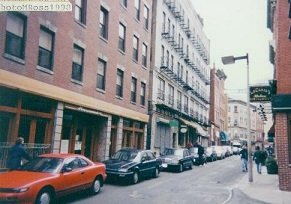 Along the way, on Phillips Street, we'll note the interesting exchange of demographics that occurred on the North slope of Beacon Hill as the African-American and Jewish-American communities utilized many of the same buildings for similar and different purposes as each group passed through this area. Particularly, synagogues and churches were sold or exchanged between the two populations as each group waxed and waned here. There is information about several buildings on Phillips Street which were used for Jewish retail as well as residential purposes from the turn of the century to the 1930s. 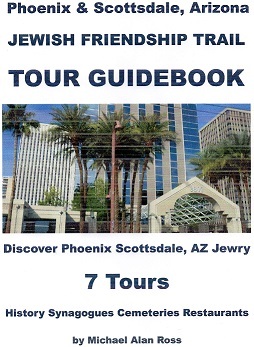 But we're headed to the Vilner Shul, completed around 1920 here on Phillips Street. Founded by a landsmanschaften of Jewish immigrants from Lithuania some twenty years earlier, this chevra of Jews finally built this shul after occupying several other sites on the Street. A considerable amount of the labor in building the shul was provided by the immigrants themselves. While there is some debate about the origins of the aron kodish (the housing for the Torah scrolls), the aron kodish may well be a Sam Katz original or, perhaps, embellished with Sam Katz wooden ornaments. The shul is a fascinating reminder of a working class, small shul. Its active use was from the 1920s to the early 1980s. (3) Further Eastward, after going up to Myrtle Street and then down Joy Street, we come to another landsmanschaften's little shul. This chevra came from Libawitz and purchased its house of worship from African-Americans in the late 1890s. 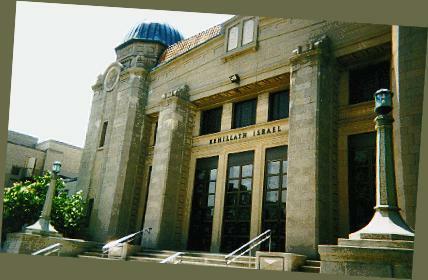 Anshe Libawitz on Smith Court served as strong Orthodox shul through 1940s, and owned this site until the early 1970s. Its womens' section was up a steep circular set of stairs which can still be climbed today. (4) Proceeding down the Hill to Cambridge Street, we turn left until reaching Blossom Street. The unassuming brick building with a Massachusetts General Hospital sign reading "West End House" hardly does justice to the actual and symbolic history of this building. 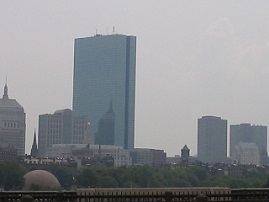 As the thousands of Jewish immigrants poured into Boston before and after the turn of the century, the immigrants themselves, volunteers, and eventually social workers began establishing sites where immigrants and their children would have opportunities for job training, education to become American citizens, cultural life, and recreation. Lina Hecht's and Golde Bamber's Hebrew Industrial School and Hecht Neighborhood Houses which were started in the North End and moved to the West End. These sites no longer exist. Meyer Bloomfield's and Phillip Davis' Civic Service Center, now a restaurant with apartments above it, on the corner of Salem Street and Jerusalem Place, diagonally across Salem Street from the former North End fire station. Another example of the few sites which still exists is the West End House. The West End House evolved from an immigrant Jewish boys club, the Excelsior Club, which consisted of thirty-five Jewish boys who grouped together for sports, culture, and social gatherings. 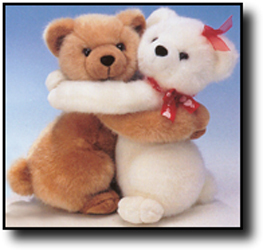 They also on occasion performed a play. 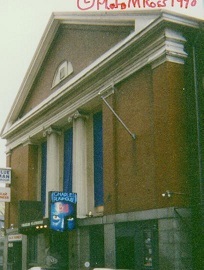 It was the performance of one of their plays which eventually led to the funding of the West End House as a non-sectarian organization and the construction of this building. we're pleased to tell that story. (5)The West End House sat in the midst of a thriving Jewish community with many small and a few large synagogues. Two of the largest were located on North Russell Street which ran parallel to and East of Blossom Street and on Wall Street which was closer to todays Fleet Center. Officially, the North Russell Street Shul was known as Congegation Beit HaMidrash HaGadol. It was established in 1904 and located on North Russell Street in 1923. 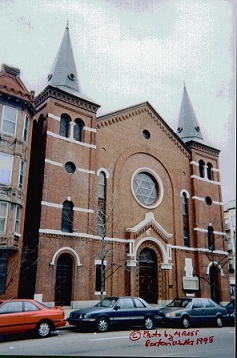 Officially, the Wall Street Synagogue was called Congregation Beit Yaakov. 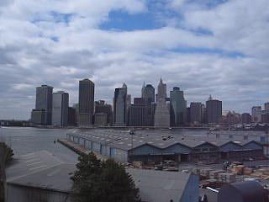 It was established in 1888 and stood on Wall Street until 1941. In that year, these two synagogues joined, using the North Russell Street location. The synagogue which we're about to visit, officially, is called Beit HaMidrash HaGadol Beit Yaakov, known today as The Boston Synagogue. 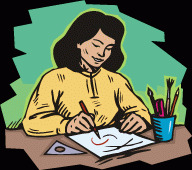 How that came to be also is a story. (6) Leaving The Boston Synagogue, we follow Causeway Street in the reverse direction which some Jewish immigrants might have pursued in moving from the North to the West End during the late 1890s. We'll enter the North End from Prince Street. At the corner of Prince and Salem Streets, in the 1890s, a little store called "the Greenie Store" was a first venture into retail food marketing by the Rabb (nee' Rubinowitz) family who, a generation later, would create Stop & Shop, a large Boston-based supermarket chain. Turning right onto Salem Street, we pass by the building in which the Civic Service Center once was located. Immediately past that, in the first of two alleyways which were an important part of North End Jewish life in the late 1880s, 1890s, and very early 1900s; we can discover evidence of those years. (7) Afterwards, on Cooper Street, we'll note the buildings which housed the B'not Israel Sheltering Home, Stanetsky's Funeral Home, and the most obvious today, the Segel residence. 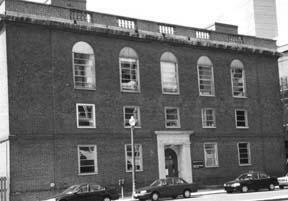 When the Segel residence was built in 1896, the Bnot Israel Sheltering Home was a forty bed facility, providing a place for new Jewish immigrants to sleep during their first days and weeks in Boston. (8) Taking Parmenter Street to Hanover Street, we'll pass by buildings which once housed a Matzah factory and one which housed earlier North End Jewish synagogues: Shomre Beth Abraham which was housed in Cockerel Hall from 1886 to 1893, also led by the RaMaZ. There were several other shuls on Hanover Street which predated the Cockerel Hall shul. Also, in Cockerel Hall was another Hebrew School. (9) Our final site on this walking tour of Boston's West and North Ends is a newcomer. Completed in the Fall of 1995, it appropriately memorializes Jews who lost their lives among the same groups of Central and Eastern European Jewry who didn't make it to Boston during the previous half century. Their grandfathers who came here to Boston rapidly Americanized and spread over much of Greater Boston. But it was here in the North and West Ends where they landed and began new lives. Hope you enjoyed our walking tour of sites of Jewish experience in Boston's West and North Ends. 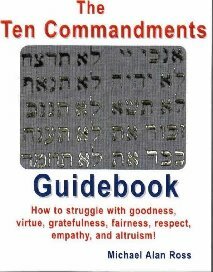 The original song lyrics, Try to Smile and Love Your Neighbor, considering what Mr. Ross labels the 11th Commandment, Love your neighbor as yourself! 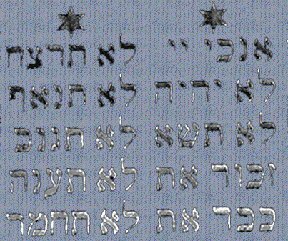 The original, acrostic poem, Anti-Semite, considering the 6th Commandment, You shall not murder. 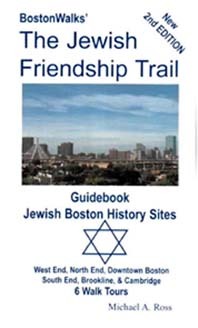 BostonWalks The Jewish Friendship Trail Guidebook. The Jewish Friendship Trail Walk - Boston West and North Ends' Jewish Sites. Including homes of Brandeis and Filene, Eastern European Jewry synagogues and Hebrew schools, immigrant settlement houses, and surprising reminders of Jewish life, religious, historic, memorial, and commerce sites, in and around Beacon Hill, the Fleet Center, and the Old North Church. The Jewish Friendship Trail Bicycle - Cambridge Jewish Sites. Including Central European sites in Inman and Central Squares, and sites of Jewish life in and around Harvard University. Copyright © Michael Alan Ross, 1997-2018. All Rights Reserved.